Florida gubernatorial race pits pro-Israel conservative against left-wing Democrat backed by Bernie Sanders and funded by George Soros. 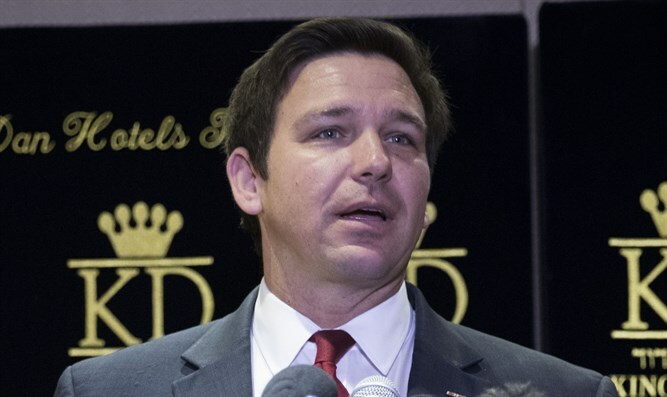 A boost from President Donald Trump secured the Republican Florida gubernatorial nomination for a conservative congressman with a history of support for Israel, Ron DeSantis, while the Bernie Sanders-backed Tallahassee mayor, Andrew Gillum, won the Democratic nod. Greene withdrew from the race in recent weeks, but Levine stuck it out. Both seemed to have siphoned centrist votes from Graham, paving the way for a win by Gillum, a left-wing candidate who is backed by Sanders, the senator from Vermont who has become the de facto leader of the left among Democrats. According to a report by the Orlando Weekly in April, Gillum had received up to that point roughly half a million dollars from George Soros, the billionaire hedge-funder a prominent left-wing donor. Wasserman Schultz will face for the third time Republican Joe Kaufman, who has written for a number of pro-Israel outfits, including the Freedom Center and the Middle East Forum.